Long before even the beginning of our trip in July, I had tried several times to reach Grimaldi offices in Italy, Greece and Turkey. It was always the same procedure: whenever I sent an email, there was no answer, when I phoned them, they told me to send an email ... and then there again was no answer. A friend from Cairo called the Grimaldi office in Egypt (contact details: "Rasha" (export department), phone:+20 3 4863647, email: export@smarina.com), and suddenly, there were answers. Sometimes, Africa is not so bad after all! In Greece, it was again the same situation: we sent emails and nobody replied. Luckily a Greek friend helped us and contacted Grimaldi via email and phone, and suddenly, it worked. So, I would highly recommend everybody who wants to ship their car to Egypt with Grimaldi, to find persons local to where the Grimaldi office is to help with the communication. We had to first go to the customs office at the G2 car terminal in Keratsini. The address (G2 car terminal, Ichtioskala, Keratsini), though could not be found on our Garmin GPS (if you type it in in Greek letters in Google maps, though, you will find it). There the customs officials told us that we needed a customs broker and contacted one for us. We had hoped that we would not need one, but the recommendation from the customs officer was really a good one. The customs broker that helped us, actually only wanted 30€ per car for his services (we had another offer for 150€ per car, so it is really good to compare prices!). They were very helpful and all we had to do was sign some papers and wait for about two hours. In addition to the 30€ per car for the customs broker, we paid another 6,47€ per car for the port storage of our cars for two days. After that we brought the cars into the customs warehouse-part of the harbour which is just next doors to the custom's broker's office. There the VIN-numbers were checked and we could leave to go to the office of Minoan Lines SA in Pireus who act as Grimaldi agents in Pireus. Everybody there was very helpful and after another hour, we were free to leave. The costs were 116,85€ for the service at Minoan Lines and another 309,00€ for the shipping. We did not need any other documents than stated above, but were asked to give our VAT number (i.e. our German tax number) ... as I did not have it they simply did not add it on the document. We thought that it might be important to find a customs broker ("fixer") for Alexandria as well. As the prices here vary immensely from fixer to fixer (we even had an offer of 4450US$ per car!) it is good to compare the prices. The customs broker we chose is Nermien Mamish who was recommended to us by Argentinian friends and is highly recommended on the HUBB ("Horizons Unlimited"). She expects us to pay 870€ for her services (including all port & Traffic charges, Plates & receipts; Excluding only Carrier DTHC ( Discharging cost ) the customs broker has to pay at actual to carrier). 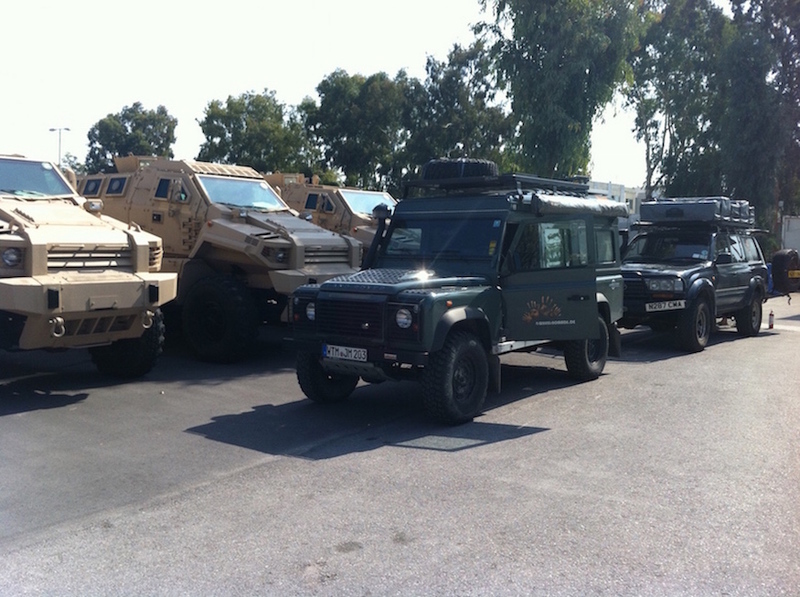 There is a new rule (October 2015) that all Landcruisers have to be checked not only by police, customs and traffic department, but also by the military who have the power to decide and even reject cars which then would mean that they would have to be shipped back to where they came from. 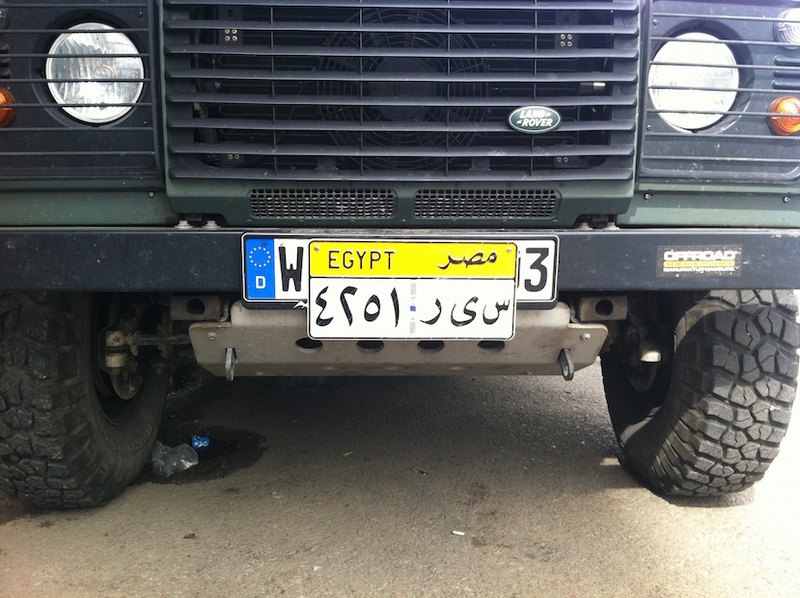 This is due to the fact that recently a lot of Landcruisers have been car-jacked and used for terrorist purposes. In the best case, this means a delay of another three to ten days. We would highly recommend taking a "fixer" (i.e. customs broker or freight forwarder) unless you speak fluent Arabic and exactly know all the procedures. Nermien Mamish, Fathi El Said and their team did a great job and their speed (three working days) impressed even expats who have lived here in Egypt for decades! We highly recommend them! 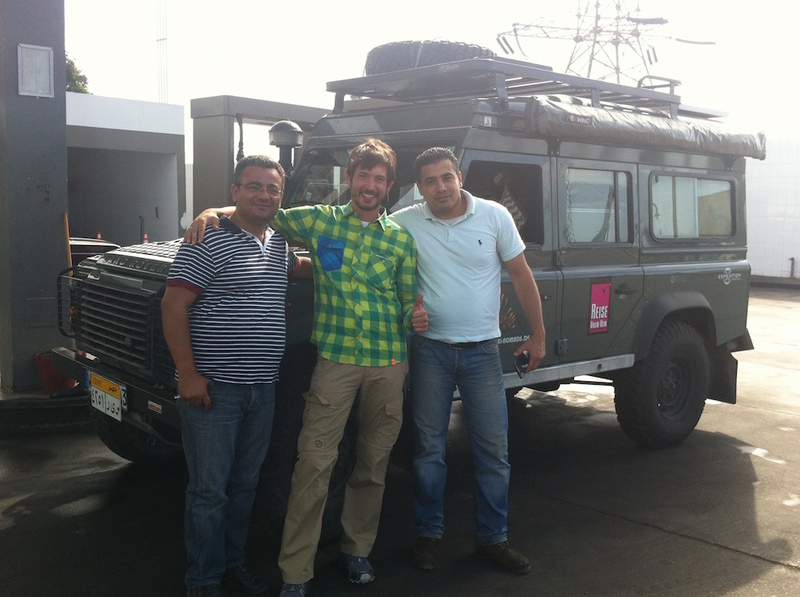 The team at CSF in Alexandria of course also are happy to help everybody shipping cars in the opposite direction (i.e. from Egypt to Greece).